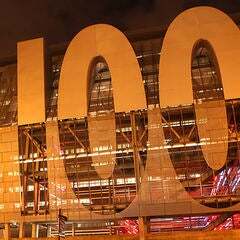 Studies have refuted the common perception that L.A. is a car-centric culture: In 2011, The Brookings Institution ranked Los Angeles at the top of its list of 100 metro areas offering public transportation to its carless residents. According to the Metro blog, the number of people using the Metro Rail is up, with the Gold Line doubling its average weekday ridership and the Red/Purple Line subway and the Blue Line also setting monthly records. By riding Metro, locals and visitors alike can enjoy world-famous attractions and cultural gems throughout Los Angeles, which is why we invite everyone to ditch the car and Go Metro! Here’s a breakdown of Metro Red Line stops. Your journey by rail begins with the Metro Rail Red Line and the galleries of the NoHo Arts District, which can be found at the North Hollywood Metro station stop. Next, world-famous Universal Studios Hollywood and the shopping, dining and entertainment venues at Universal CityWalk Hollywood await visitors at the Universal City station. The Hollywood/Highland station drops you off in the heart of Tinseltown, where the Hollywood Bowl, TCL Chinese Theatre, Madame Tussauds Hollywood, the Walk of Fame and many more attractions are all within walking distance. Movie fans around the world know the Dolby Theatre at Hollywood & Highland Center as the home of the Oscars. The station named after the iconic intersection of Hollywood and Vine takes you to the Pantages Theatre and the incredible Amoeba Music store, while the Hollywood/Western station delivers the dining adventures of Thai Town. On the weekends, a shuttle from the Vermont/Sunset stop takes you directly to the wonders of the Griffith Observatory. From the Red Line’s Wilshire/Vermont LA train station, you can transfer to the Metro Rail Purple Line, where the Wilshire/Western stop offers the Los Angeles County Museum of Art (via Metro Local 20), The Wiltern and Koreatown among its diverse options. The 7th St./Metro station is your transfer point to the Blue Line (see below). Located above its namesake station, Pershing Square is a popular spot for seasonal free concerts and outdoor screenings, or you can get a quick bite at the lively Grand Central Market. 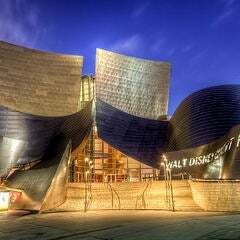 The Music Center (including Walt Disney Concert Hall, the Ahmanson Theatre and Mark Taper Forum, and Dorothy Chandler Pavilion) and the Museum of Contemporary Art (MOCA) are among the cultural destinations near the Civic Center station. The Purple Line ends at the landmark Union Station, where travelers can continue across the country to points north, south and east. Not far from Union Station is El Pueblo de Los Angeles Historical Monument, site of the birthplace of what is now the city of Los Angeles. In addition to the monument’s museums and exhibits, bustling Olvera Street is popular for its array of merchants and Mexican dining spots. Union Station is the starting point for more art and cultural experiences via the Metro Rail Gold Line. To the north, the Norton Simon Museum, the Pacific Asia Museum and the Pasadena Museum of California Art are among the highlights of the Memorial Park Station area. On the southern leg of the Gold Line, there’s much more than great food to enjoy when you exit the train in Chinatown, which in recent years has become a hotbed of underground art galleries. The Geffen Contemporary (an annex of MOCA) and the Japanese American Cultural & Community Center are part of the Little Tokyo/Arts District itinerary. Continue east to Mariachi Plaza in Boyle Heights, where mariachi musicians have gathered since the 1930s, ready to be hired to play in restaurants, at private parties or community events. Back at the Red/Purple 7th St/Metro station, take the Metro Rail Blue Line to the Pico station and you’ll find yourself at the massive L.A. LIVE entertainment complex, where you can experience world-class music concerts and sporting events at STAPLES Center and Microsoft Theater, visit the nearby Los Angeles Convention Center, or choose from a plethora of fine dining and casual eating options. Heading south out of Downtown, you can access the historic Watts Towers from the 103rd St. station, while the Transit Mall stop near the end of the Blue Line can offer you attractions like the Queen Mary and the Aquarium of the Pacific. 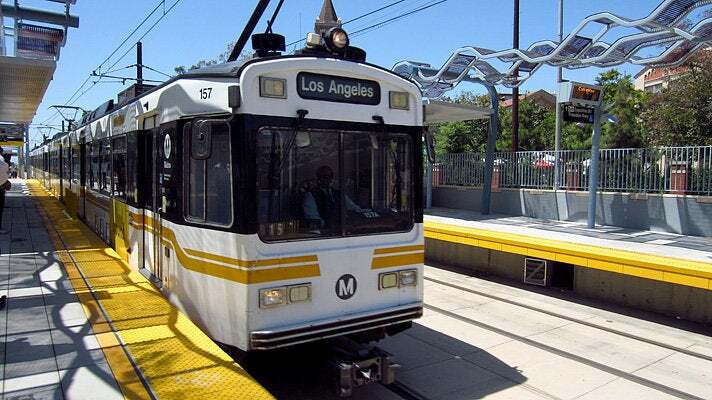 From the Imperial/Wilmington station, transfer to the Metro Rail Green Line, where a free airport connection shuttle at the Aviation/LAX stop will take passengers to Los Angeles International Airport. The 7th St/Metro Center station also services the newest addition to the system, the 15-mile Metro Rail Expo Line. 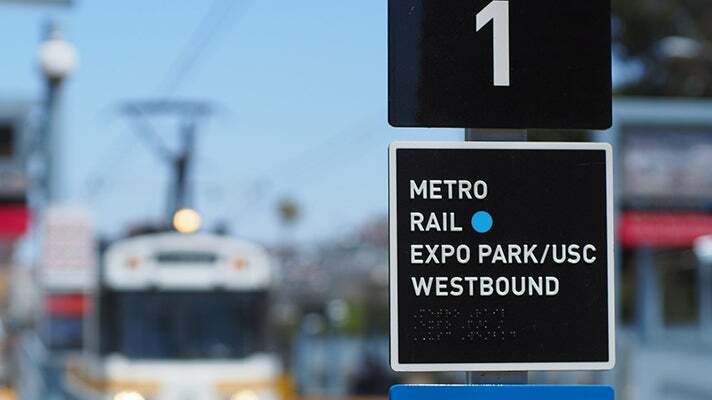 The Expo Line brings light rail to the Exposition Corridor, with 19 stations serving popular destinations like USC, Exposition Park, the Mid-City Communities, the Crenshaw District, Culver City and West Los Angeles. Travel from Downtown L.A. to Santa Monica in only 45 minutes, with no worries about parking. 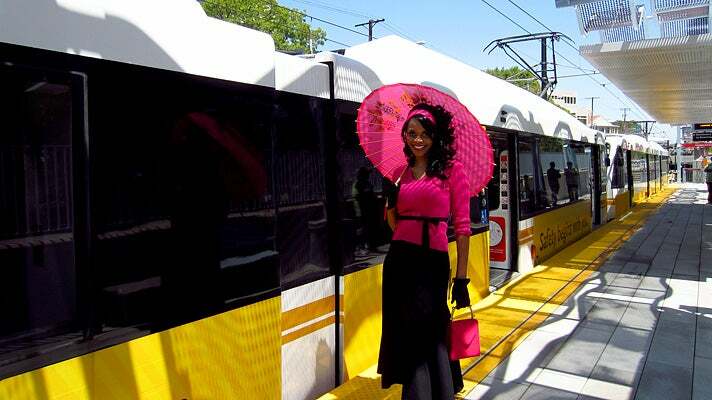 The Metro Rail is part of a much bigger public transportation system that services the Greater L.A. area. Nearly 200 different Local, Rapid, Express and Bus Rapid Transit (BRT) bus lines travel to every neighborhood and major destination, including state parks, area attractions and shopping districts. DASH Downtown provides almost 7 million passenger trips per year to the Downtown and nearby areas. And airline travelers can take the LAX FlyAway Bus from Downtown, West L.A., the San Fernando Valley and Orange County.